The Second City, Chicago’s legendary sketch comedy theater, will bring their Laugh Out Loud Tour to Providence for five shows June 7 - 9 at Trinity Rep’s Dowling Theater. 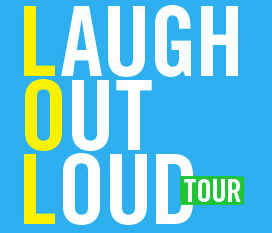 The Laugh Out Loud Tour features some of the best sketches, songs, and improvisations from The Second City's fifty-two year history. For tickets and show information, stop by the box office at 201 Washington Street in Providence, call 401-351-4242 or visit www.trinityrep.com.